As with The Painted Dragon, the cover art is the work of the super-talented Karl James Mountford who has also created the fabulous interior illustrations for the book. 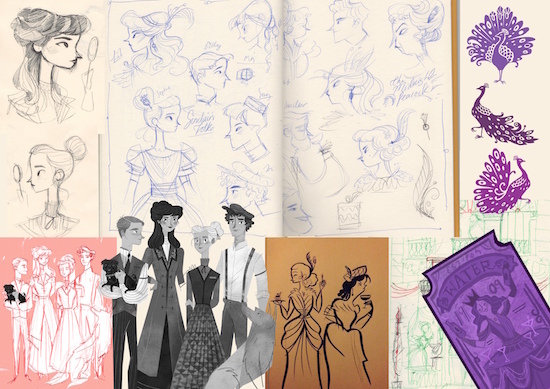 Karl worked with Egmont’s senior fiction designer Laura Bird on the book’s artwork. I think I’ve probably said this for each new book in the series, but I really think this is my favourite cover yet. 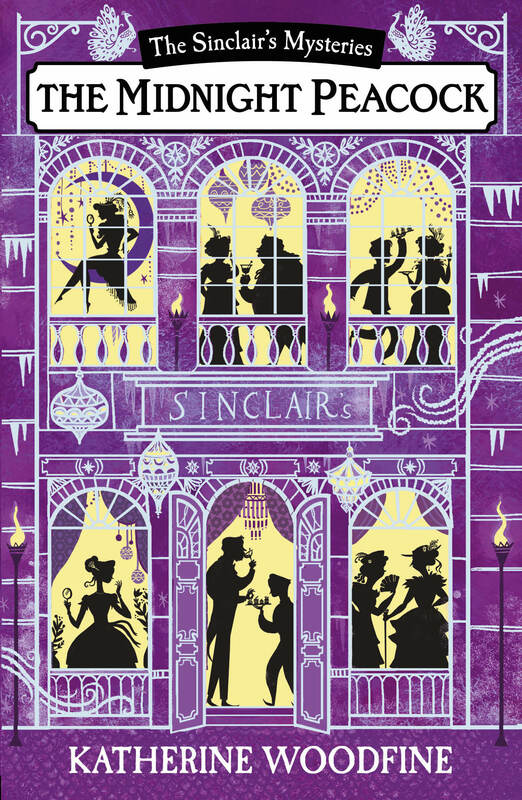 The combination of rich purple and silver foiling is so sumptuous, and it’s lovely to see Sinclair’s itself on the cover for the final book in the series, and to peep inside its windows once again! What’s more, the cover perfectly captures the atmosphere of The Midnight Peacock, which is set at Christmas and is a wintery mystery – I love the silvery icicles, the swirling frost, and the hints of festive decorations we can glimpse in the windows. It also conveys all the opulent splendour of Mr Sinclair’s magnficent New Year’s Eve Ball, which has such an important part to play in this story. I’m really fascinated by Karl’s creative process as an illustrator, and wanted to know more about how he creates artworks like those for Midnight Peacock – not to mention other books like The Uncommoners by Jennifer Bell, his peep-inside fairytale books or picture book The Curious Case of the Missing Mammoth. KW: Can you tell me a bit about your creative process when illustrating a book? Where do you start? How do you go about creating a book cover, and what are the key things to think about? KJM: It starts with the brief from the art director/designer from the publishing house. I tend to get a proof of the manuscript with chapters or text highlighted for reference and study. But the first thing I do is make my own list of all the illustrations needed for the project and make really rough tiny sketches before even researching. 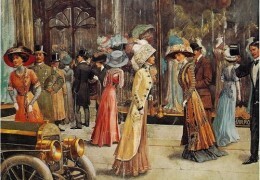 Book covers are my favourite type of illustration work, so I automatically want to do best by the author’s imagination. With the Sinclair’s Mysteries, I get sent a template of the design and I doodle on that to get the ball rolling. The key thing is to read, whether it’s the full story or character description and the brief. ‘The more you know’ as they say! Can you talk about what tools you use – do you work digitally, or with paints etc? I draw/sketch everything in my sketch books or loose paper to figure things out; once the design/illustrations have been given the ok, I then scan them into the computer and use photoshop to colour them up and fine-tune. I use a lot of textures like paint marks or scrap paper to make digital brushes. At the minute, it’s a bit of a mess (I’m moving studios). Who are your favourite children’s book illustrators? Shaun Tan is without a doubt the best in my opinion. Maurice Sendak also, not just for his artwork but because he was honest in his storytelling for kids – it all gets a bit safe these days. And there is a huge number of current illustrators who are also incredible of course, but those two are my personal heroes. Is there a children’s book you’d especially love to illustrate? I’d love to illustrate His Dark Materials by Phillip Pullman, like a special edition type of deal, they are some of my favourite books. I’ve thought about this before – I’d make screen print covers with limited colour palettes. What advice would you give someone interested in getting into book illustration? Erm… it’s tough getting into book illustration, not an overnight thing for sure, so don’t worry about rejection – it’s just something that happens. I’d suggest you make work you love because you love it so. Start with your favourite books, redesign the cover, illustrate chapters etc, but do it because it interests you. And be a little tough on yourself, ask yourself ‘Does this look like something I want to pick up off the shelf?’ and above all – stick at it. Let’s talk a bit about The Midnight Peacock! The book is set in winter: how did you get the wintry effects on the cover? I’ve heard that snow is particularly tricky in illustration – did you find this? Yeah, snow can be tricky, especially when the colour palette is singular. I used light purples against darker ones with a textured ‘speckled’ brush, I went for a frosty look/feel on The Midnight Peacock because the typical trick for snow is to add it on the sills of windows but with this series the windows are key to front of the book and I didn’t want to lose the details of the action in the windows, covered by snow. I love the way each window has its own cast of characters, and tells a story of its own – which window would you most like to eavesdrop beside? I think the top left, the one with Lil on the moon. I’d have a few drinks and enjoy the party. What was the most difficult aspect of this cover to get right? How do you test the effects of foiling? 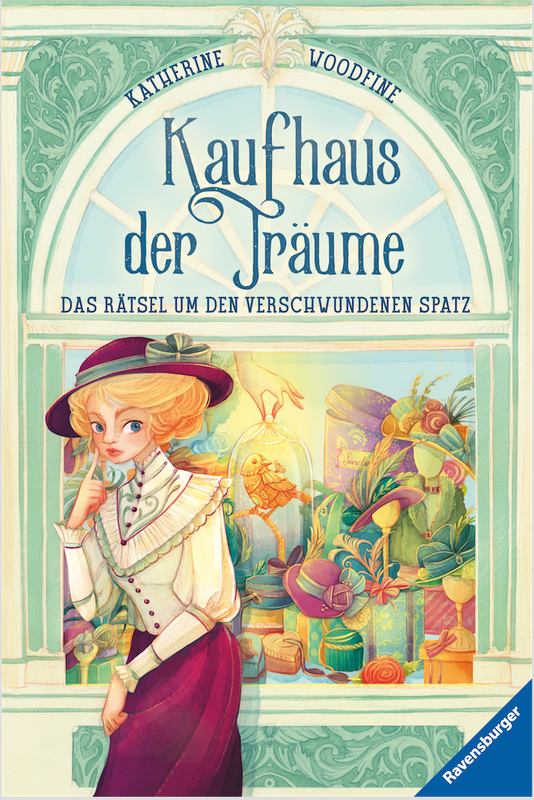 The most difficult aspect of this cover was the design of the Sinclair’s building, since book one already featured the front of the department store (by illustrator extraordinaire Júlia Sardà). I didn’t want to just copy the existing design, so I used it as a template and changed a few details so it feels respectful to the original but it’s got my own stamp on it. I don’t actually test the foiling, the good folks at Egmont and Art Director/Designer Laura Bird are in charge of that. 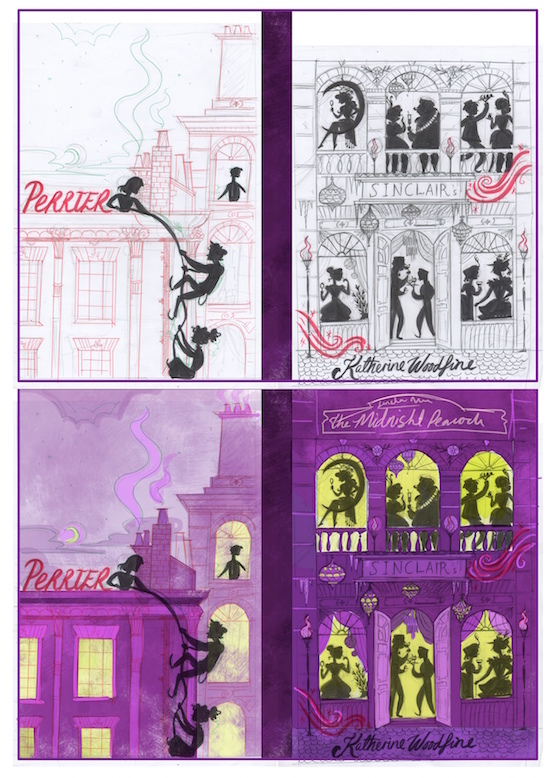 I do have to keep all the ‘foiled’ aspects on separate layers when illustrating the covers though. How much did the design change from your roughs to the final artwork? Not much really, a few details and positioning of characters. I think the biggest change was on the back, as I’d drawn chimneys and windows in the bottom left-hand corner, but with the barcode added on, it would have looked a little off. So we replaced it with a brick wall to frame the existing covers. How do you choose which scene to depict on a cover (front and back)? With the Sinclair’s books, the team at Egmont send me a really detailed brief of what they think will work best for the overall cover. 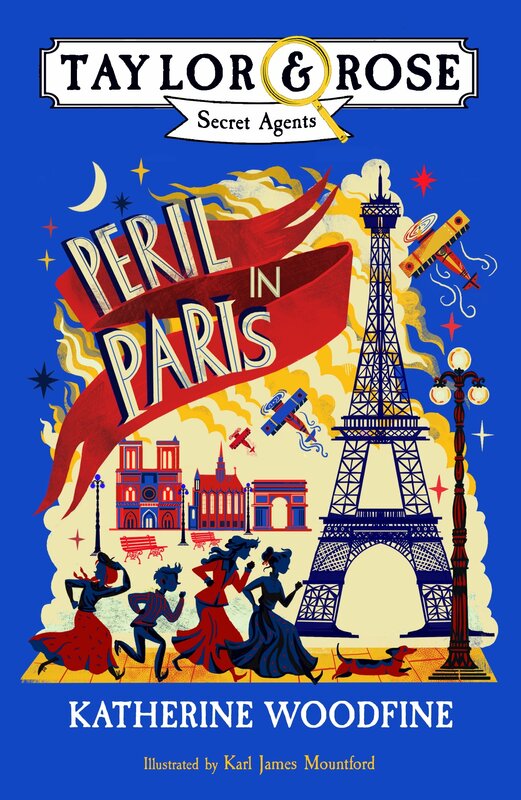 I love the incidental details – the poster for water on the wall of the building the gang are scaling, the lamppost, the trays of tiny canapés, the brooches and hatpins. How did you research the visual look of 1909 – are there any period sources you found particularly helpful for those details? 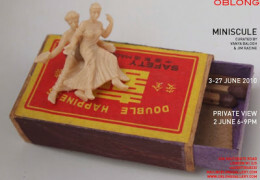 I used the brief’s details to research items of the time. 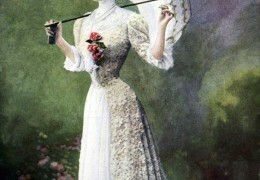 I went to the library and got a few books out on ladies’ fashions of the 1900s; and some of the stuff I just googled, particularly the invitations and newspapers of the era. 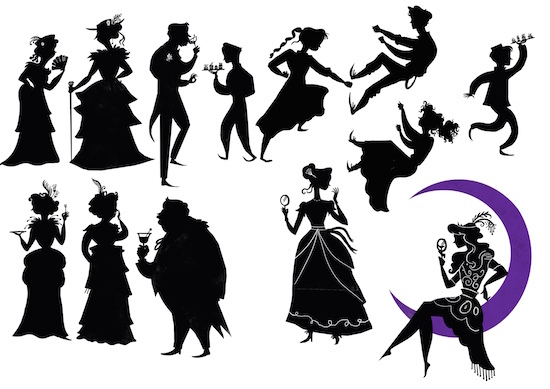 At the end of The Painted Dragon, we see an illustration of Sophie and Lil for the first time, and in this book we see the whole gang – is it challenging depicting the main characters in a book? I love how the physical stance of each figure in that final image is so true to their character! It can be difficult, as you want to do justice to the author’s imagination. But you can’t really pick the brain of the author in this type of work, which is a shame. 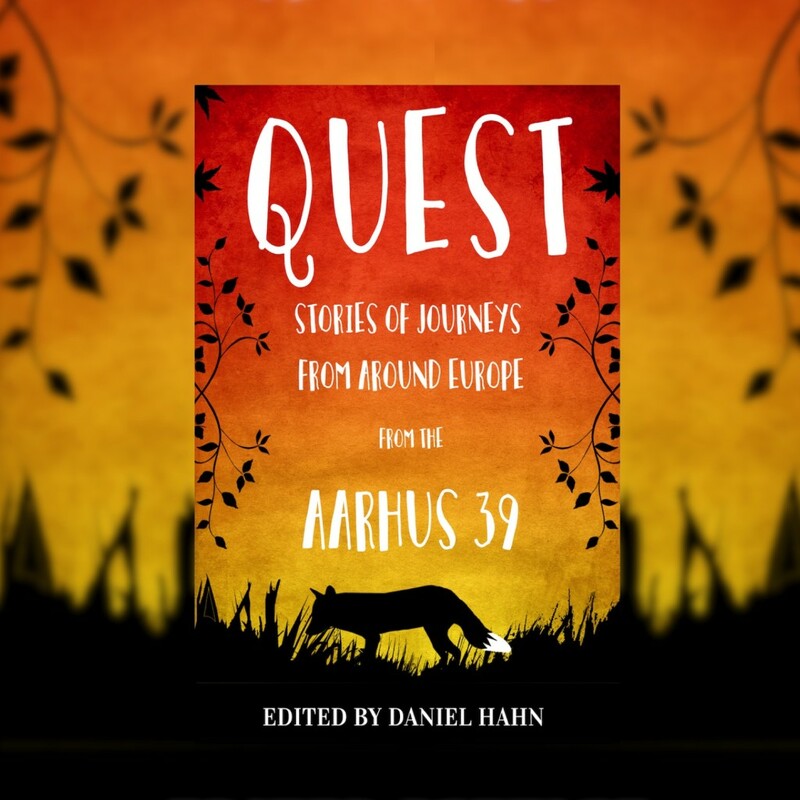 I do get sent the manuscript of the books so I can research and read the story – it helps massively to read the book as you can really build an idea of the characters. Although I avoided the manuscript as much as possible this time, because I’m invested in the story and want to find out how it all ends as its reader rather than illustrator! It was a thrill to spot ‘KW’ on the spine of the books in the library – are there any other hidden details you could tell us about – or at least give us a clue as to what we might look for? Yeah, in that one particular illustration, some of the books have spines with titles of the previous books’ creatures on them: a bird, moth and dragon. There is also an open sketch book with a drawing of the main character Sophie in it. I leave sentimental rubbish in all my work sometimes – for instance, the date on one of the newspapers is my Dad’s birthday. Just daft things like that. 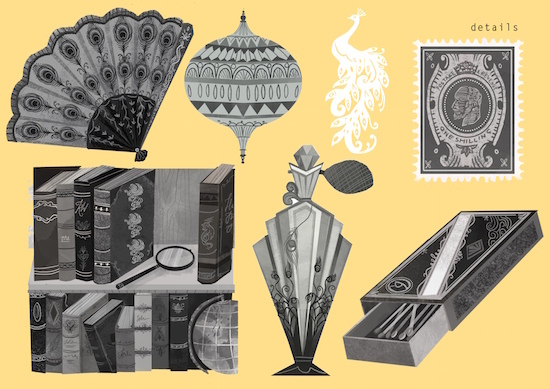 I also love the Indian pattern at the bottom of Miss Pennyfeather’s letter – it feels like just the kind of stationery a colonial lady would use. Was it based on a real-life artefact? It was a last-minute decision on my part – the decorative part of the letter was already in place, but we had to rejig the lettering so it read in a certain way. I was flicking through the text-heavy illustrations and just thought it would be nice to add the elephant motif so it keeps your eyes interested. I researched ‘decorative writing paper’ – a lot of it back then was heavily decorated, especially if you were ‘well to do’. 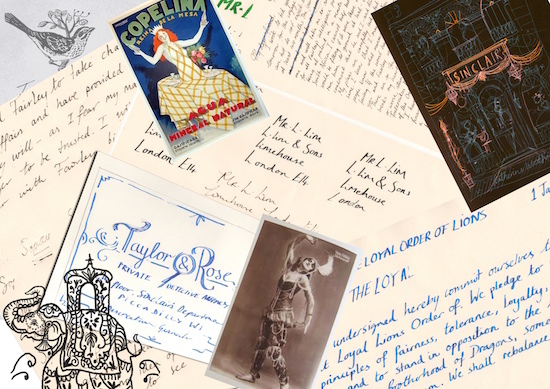 These books involve lots of letters in different hand-writing, flyers and business cards – do you enjoy working out different typographical effects? Again, I love how each is done so exactly in the character of the letter’s author. It’s one of my favourite things about this job, I’m not just illustrating it but designing things too. I actually hand-wrote a lot of the letters with a fountain pen/ calligraphy set…it took forever but I think/hope it adds an authencity to it. It’s pretty hard to write out of your regular handwriting style continuously, so for some of the letters I used a font. 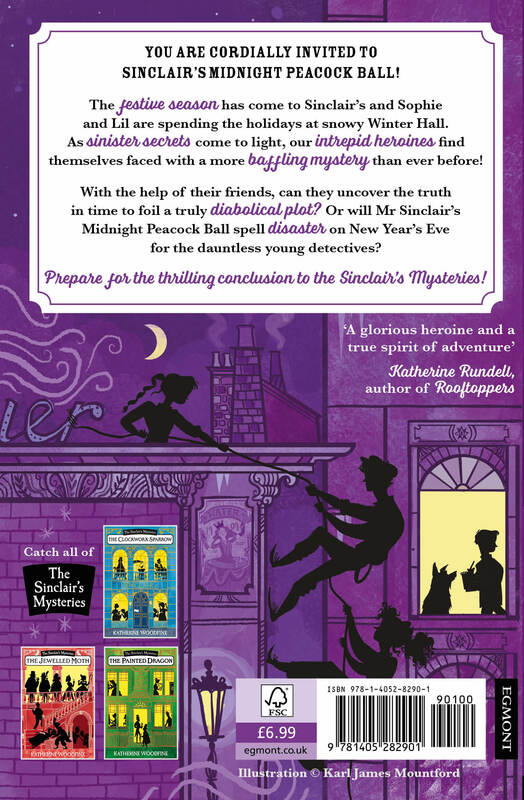 What have you enjoyed most about illustrating the Sinclair’s Mysteries? Do you have a favourite character to illustrate or a favourite illustration? I’ve enjoyed reading the stories a lot, it makes it really special to illustrate once you’ve read it. I think I enjoyed the mix of illustrating and designing. My favourite character…I think it might be Billy…or Lil. Finally, thank you for your illustration of quite the most lavish teatime spread – which cake is your favourite, and shall we split one? Oh, I think we should! It’s gonna sound lame but I really like carrot cake at the minute. Thank you so much Karl for a totally fascinating insight into the process of creating your amazing artwork! 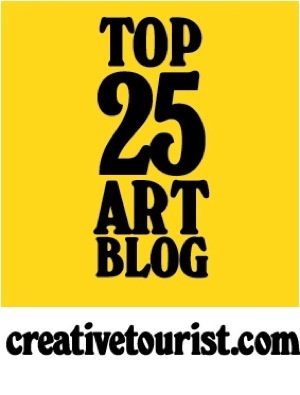 Find out lots more about Karl and his work on his website here. 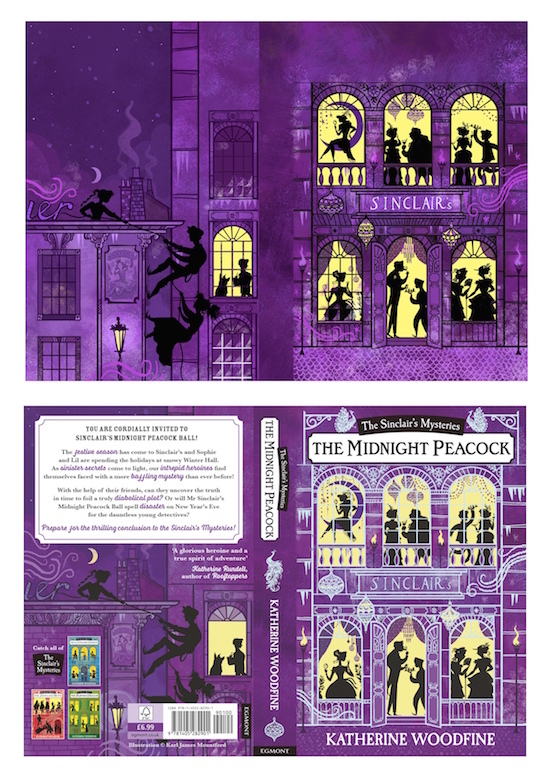 The Midnight Peacock is published on 5 October and you can pre-order a copy now from Waterstones, The Hive or Amazon. This week is Independent Bookshop Week! Celebrations will be taking place in bookshops all around the country, so make sure you visit your local indie – I popped into one of my favourites, award-winning Storytellers Inc in the seaside town of St Annes, earlier this week. 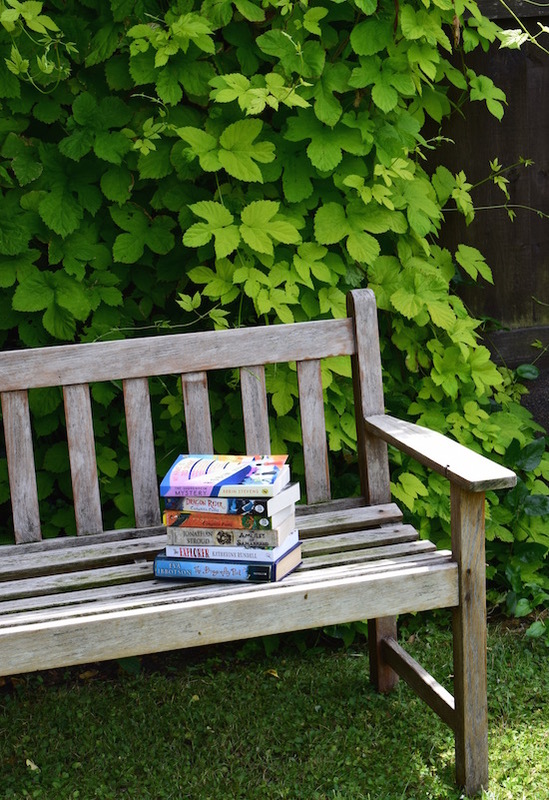 As part of this year’s activities, the Independent Bookshop Week organisers are asking people to share their favourite reading spots online, using the hashtag #myreadingplace. Normally my favourite reading place would be at home (probably tucked up in bed, if I’m honest!) but at the moment, I’m staying at my mum’s house and (in between the rain storms) her lovely sunny garden, above, has been the perfect reading spot for me this week. So what exactly have I been reading in this very nice spot? First up, The Guggenheim Mystery by my author pal Robin Stevens – this is the sequel to Siobhan Dowd’s wonderful The London Eye Mystery. As anyone who has read The Painted Dragon will already know, I love an art-themed mystery – and this story centres around the mysterious theft of a priceless Kandinsky painting from New York’s famous Guggenheim. 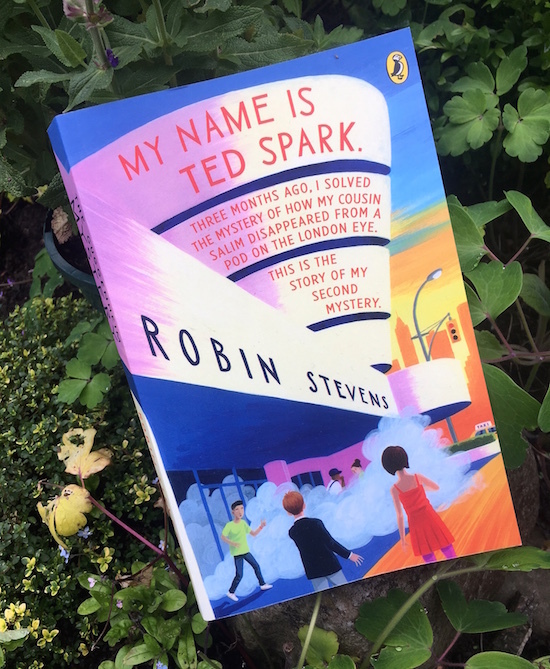 It’s a captivating mystery, and Robin has done an incredible job of continuing Siobhan’s story, in particular capturing the distinctive voice of narrator Ted Sparks. It’s not published until August so there’s a little while to wait yet (this book is an early ‘proof’ copy that I was lucky enough to be sent by Puffin) but fans of Robin’s work are in for a real treat. The cover by David Dean also needs a special mention – what a beauty. And I was VERY thrilled to see a familiar name pop up on p 235! I’ve talked a lot about how much I love the Lockwood & Co books by the brilliant Jonathan Stroud. The last book in the series is out in October and I can’t wait! In the meantime I’m catching up with his previous Bartimaeus books, starting with The Amulet of Samarkand. I’m astonished I haven’t read these before – they are witty, intriguing and completely enchanting. It’s no wonder Diana Wynne Jones herself gave them the thumbs up! 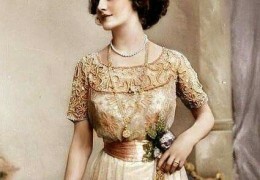 On the subject of firm favourites, I’ve been re-reading some of my much-loved Eva Ibbotson books. Eva Ibbotson is one of my all-time favourite children’s writers and her books are always full of warmth and heart. If you want to find out a bit more about her you can read this recent piece from the Telegraph. I’ve just read her gorgeous The Dragonfly Pool all over again. Next up, a magical treat – Dragon Rider and its sequel The Griffin’s Feather by Cornelia Funke. Although I’ve read lots of Cornelia’s books before, I’d never read Dragon Rider, though I knew that it was beloved by readers all over the world. When I saw that Chicken House were republishing the book and its sequel, with gorgeous new covers by Laura Ellen Anderson, I was excited to dive in! 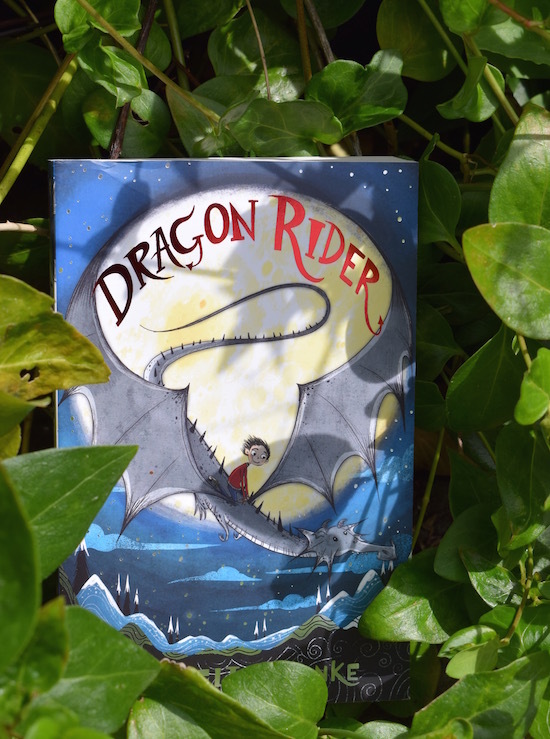 These books are such a delight, with their magical creatures, exciting adventures and a great hero in dragon rider Ben and his silver dragon Firedrake. You’ll find the new editions in bookshops next month (and I’m also very excited to be chairing a special event with Cornelia Funke at Waterstones Piccadilly on 17th July – find out more here). 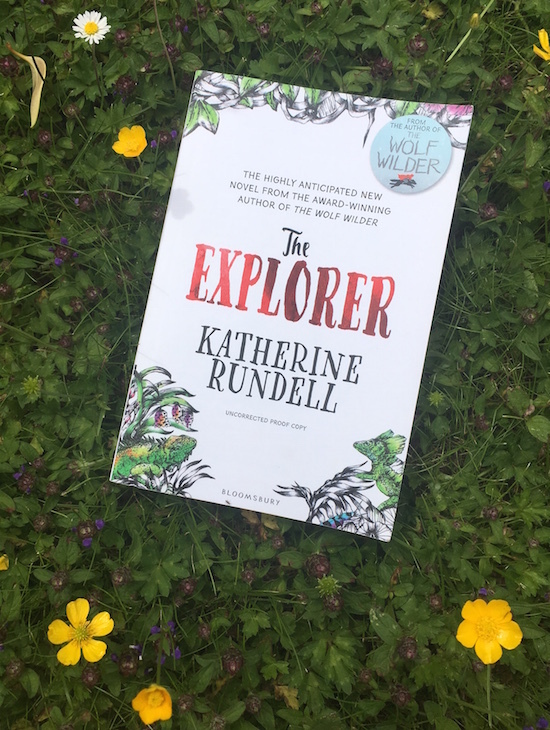 I haven’t started it yet, but next on my reading list is The Explorer by Katherine Rundell. I love Katherine’s beautiful books, and this new one sounds glorious – an adventure set in the jungle, which itself is partly inspired by one of my favourite Eva Ibbotson books, Journey to the River Sea. It’s published in August, so be sure to look out for it in bookshops then! 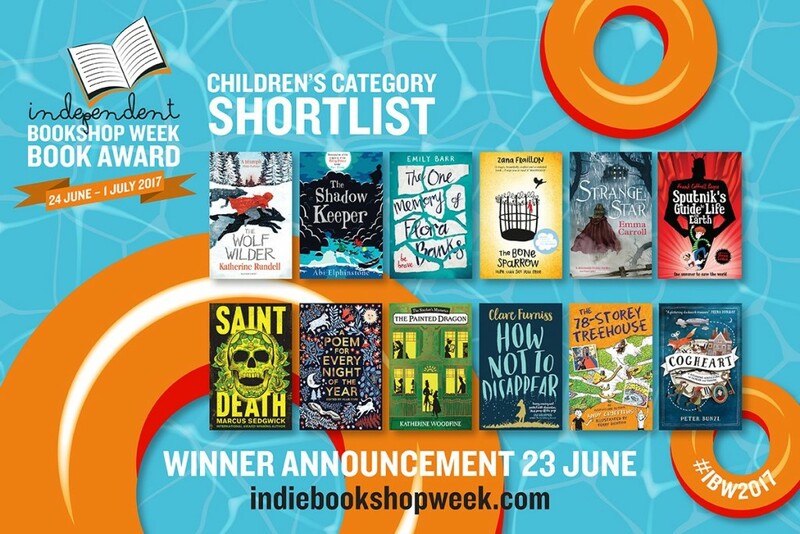 Pop over to the Independent Bookshop Week website to check out a Q&A with me, featuring picture books, where I write, and the importance of good writing snacks! Hope you’re enjoying Independent Bookshop Week – drop me a comment to let me know what you’ve been reading!